The Polar Express is one of the greatest Christmas classics and I have fond memories of it myself. But when my son fell in love with trains (as many boys do), the Polar Express became one of the best books of all time – not just for the Christmas season! But regardless of whether your preschooler is a boy or a girl, The Polar Express should be on their bookshelf. The story is brilliant and the illustrations are amazing. The Night Before Christmas is a Christmas classic that every preschool boy and girl needs to have. The pictures are spectacular and the story is about as classic as you can get. This is definitely one to read over and over again throughout the Christmas season. One of the greatest things about having a preschooler is introducing them to all the Christmas stories that we heard as kids. And obviously Rudolph the Red-Nosed Reindeer is one of the best! They’ve likely already heard the song (if not, add that to your holiday bucket list!) and they may even know the story, but actually reading it is different. Not only is the story of Rudolph a total Christmas classic, but Little Golden Books are perfect for preschoolers. The storylines get a little longer and more complex, but the words are still pretty basic, so they may actually be able to read along with you! Frosty the Snowman is another great classic and Little Golden Books delivers it perfectly! This one is also great because it can last after the Christmas season, since that’s when most of us start getting snow. Goodnight, Goodnight, Construction Site is an all-time classic for construction-loving preschoolers and if they loved that one, then they will definitely love Construction Site on Christmas Night – a return to see their favorite characters for Christmas! This is a fun book with really nice illustrations that preschoolers love. Christmas Songs is the perfect Christmas book for preschoolers because there’s nothing they love more than singing Christmas carols! Christmas Songs is an interactive book that plays the music while your preschooler sings the classic Christmas carols. It’s a fun book and a great way for them to learn new songs. 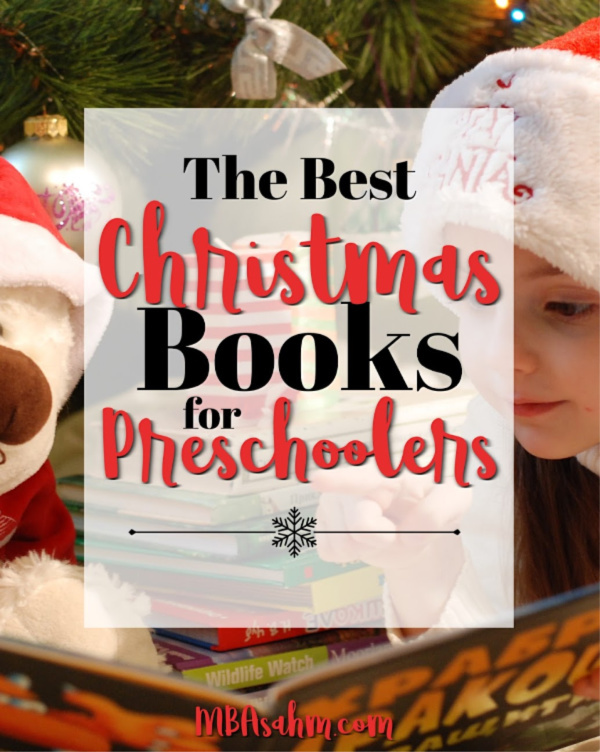 The Littlest Christmas Tree is one of those Christmas books that you AND your kids will love. It’s a very sweet story with a great message. And as an added bonus (for us), it’s not a pricey Christmas book, so it’s perfect for a pre-Christmas surprise. Christmas Cookie Day! is a brand new release and just in time for any preschooler that loves to make Christmas cookies (which is, of course, all of them)! This is a fun Christmas book that makes a regular Christmas tradition even more exciting and a good change of pace from Christmas carols and classic stories. If you have a dinosaur loving preschooler, you may already be very familiar with the “How Do Dinosaurs” series. And if not, How Do Dinosaurs Say Merry Christmas is a great way to introduce them! My son is obsessed with these books, so the fact that they have a Christmas version is a total treat. How the Grinch Stole Christmas is another great classic that all kids need to be introduced to and preschool is a great time to do that! A huge bonus of this book is that if your preschooler enjoys it, then there’s a movie version that they can enjoy too! If you have a Thomas the Train lover in your house, then you know Thomas’ Night Before Christmas is for you! Aside from the allure of Thomas, the Little Golden Book series are nice because the story lines are a bit longer and more complex so they’re great for preschoolers that are starting to get longer attention spans. If ever there was a character that all preschoolers loved, it would be Daniel Tiger! So it’s hard to go wrong with Merry Christmas, Daniel Tiger. This is a great Christmas book for young preschoolers who may not be ready for longer story lines. 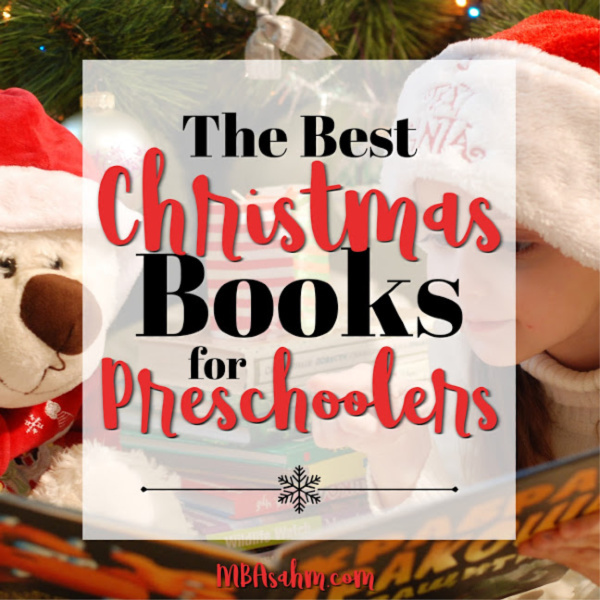 I hope these Christmas books for preschoolers help build up your Christmas book collection! This is one of the greatest times of year, so enjoy every second. Merry Christmas! If you’d like more tips, tricks, and inspiration on parenting and raising happy kids, subscribe to my Parenting Mailing List for notification when new posts are published.I hope you enjoy everything you read! Thanks for your time!